Kyle Christian Steele's mission is to help children find and fearlessly move into the power of their unique story. He is a social entrepreneur with a background in technology and K-12 education. Over the past 9 years, Kyle has founded three technology-related startups and is an alumnus of DreamIT Venture, ranked as a top 5 technology startup accelerator in the world. In 2012, he founded what would later become Learn Jelly, a service that provides elementary educators with a system that helps students learn deeper, improve reading comprehension and critical thinking skills and gain coding exposure through the process of animating stories based on content areas. Learn Jelly clients include the City of Orlando, Orlando Science Center, Cade Museum, District of Columbia and over 19,000 students from 41 states and Canada. Kyle also is one of the founders of Orlando Tech and the CREDO Conduit. 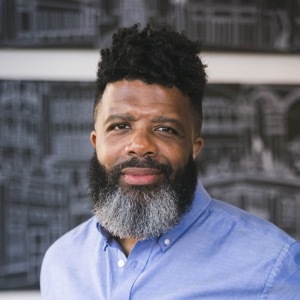 Additionally, he is the program Director of Rally Social Enterprise Accelerator and sits on the board of the Future of Education Technology Conference, the largest technology conference for K-12 educators in the US, and is recognized as a national thought leader in the application of coding to advance K-12 curriculum and helping people find their purpose. Kyle is a graduate of Bethune-Cookman University and attended the University of Michigan for his graduate work.